I said last week that most issues with the Ketogenic Diet can be fixed by doing one of three things; drink more water, eat more salt, or eat more fat. Last week we talked about water, now let’s talk about salt. Of all the things that were difficult for me to start to do once I started eating on a Ketogenic diet, it was probably upping my salt intake that really messed with me the most. All my life I have had high blood pressure and of course, the first thing the Docs tell you to do is cut your salt intake. You may have heard of the DASH diet that consists primarily of veggies, lean protein, low fat dairy, fruits and whole grains and no added sodium. Well guess what that diet also happens to be low in? That’s right, our old friend sugar. And according to a 2010 University of Louisiana study, reducing your dietary sugar has a much bigger impact on your BP than added salt. Why is that? Here are 3 reasons. One reason is that sugar is hydrophilic, in other words it tends to absorb water. So if you have high levels of blood sugar it will tend to absorb water creating a larger volume of fluid in your veins and arteries. This increased volume raises blood pressure. Insulin helps your body store magnesium but if you are insulin resistant (and if you are obese, you are by definition insulin resistant) your cells wont take up the insulin or the magnesium that come along with it. Magnesium stored in cells relaxes your muscles and without it, the blood vessels become more rigid which increases blood pressure. On a personal note, once I started taking these Magnesium supplements I saw a huge drop in my overall BP as well as an easier time sleeping through the night. The metabolization of Fructose produces uric acid which blocks nitric oxide in your blood vessels. Nitric oxide increases your blood vessels elasticity so anything that inhibits nitric acid will increase blood pressure. Just by way of a personal story, I reduced my salt intake for years and never really had any success in lowering my bp but after I cut out the sugar I saw an almost immediate 20 point drop in my bp and after I started taking Magnesium supplements, I saw another 15 point drop. Granted, my bp was WAAAAAYYYY high at 200/160 but it has gotten progressively better on a ketogenic diet. 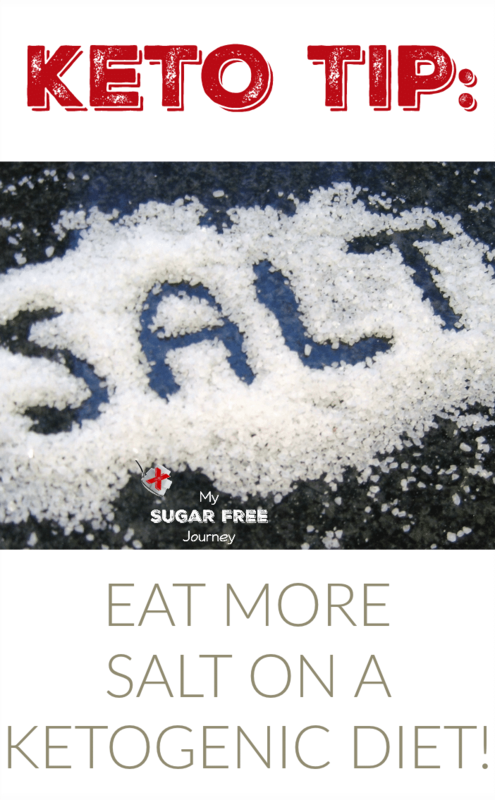 So that’s why you should avoid sugar if you have high BP but what about eating more salt? 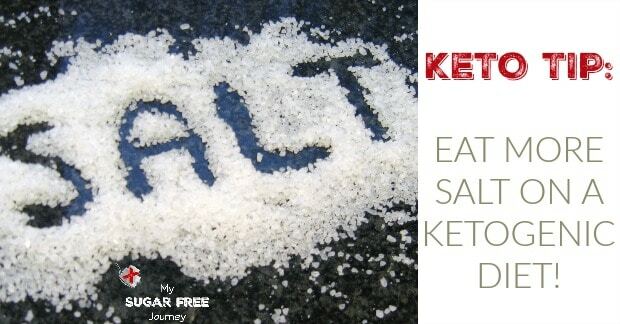 It turns out salt is not only beneficial but absolutely necessary on a ketogenic diet. When you start cutting out the carbs, you also start reducing the amount of Glycogen your body stores since glucose is required to make glycogen. Glycogen is stored in a roughly 1:4 mix with water in your muscles so as glycogen levels drop, you also start shedding a large amount of stored water. This is why weight loss is so rapid in the first few weeks of a LCHF diet, most of what you are losing is that stored water and along with the stored water you are also losing salt and other trace minerals as they are flushed out with the water. Replacing that water and salt is crucial, especially in those first few weeks. In fact, the dehydration that can occur if you don’t up your salt and water intake is why many people have the “keto flu” or a miserable feeling while their body is switching over to being fat adapted. It is crucial, not only in those early days but for however long you stay on the ketogenic diet, that you always take special care to drink enough water and add enough salt to your diet, as much as 3500-5000 mg of sodium per day. Of course, no dietary changes should be undertaken without a doctor’s supervision but I am amazed at the massive improvement I’ve seen in my health since cutting out the sugar and carbs and upping my salt intake to go along with it. Have you had similar experiences? I would love to hear about them, just leave a comment below to join the conversation! 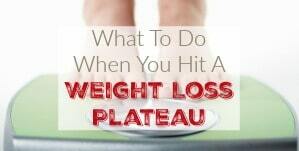 NEXT POST Next post: 10/5 Weightloss Wednesday: Plateauing Again? Maybe? I am on week two of keto. I am eating 140 grams of protein, 83 grams of fat and 23 grams of carbs. I’ve increased my electrolytes but not feel bloated. Will the bloated feeling go away eventually? Yes after about week 4 you should be golden however, your macros are off. The amount of fat and protein you are eating should be switched, you aren’t eating near enough fat. Here’s what you need to know about what your body does with the excess protein. I would suggest investing in a few ketone strips just to see how you are progressing. Take a look at these. Thanks! I appreciate it. I’ll keep you posted. Hello. I’m on my 3rd week now and I still experience heavy fogginess but I have no problem physically i.e. same lifts/strength at the gym and at work. I work construction and go to the gym roughly 4 times a week (mainly lifting). I consume roughly 3,500 calories a day (roughly Fats: 311 Protein: 175 Carbs: 30-40). I’ve been monitoring my Potassium and Magnesium. I’m also taking in roughly 4000 mg of salt. Would this probably be the problem? I fell in love with Keto and really don’t want to give it up. Please let me know what you think I might be wrong. Cheers! Drs Phinney and Volek recommend consuming 3-5 g of sodium a day on keto so you are right where you need to be on that. Also with the lifting you do, your protein intake is probably right about where you want it if I’m reading those numbers correctly. If I had to guess, I bet you aren’t fully fat adapted yet and are in that “in-between” phase because you are only 3 weeks in. I would give it another 1-3 weeks and see if the fogginess lifts. If not, I would look at the amount and quality of your sleep and possibly stress levels. Check back in early next month and let me know how you feel. Thank you so much! I will definitely check back. Hello Aarn. It’s been two weeks since I posted about the issue that I was having. I’m getting more frustrated everyday as I am still experiencing the same symptoms. I’ve increased my sodium to 5-6g. My potassium and magnesium intake is on point. All in all, everything is on point. On a side note, I am also taking a course online to become a firefighter and since I have started this “diet” I have failed to study the materials due to my inability to focus. Again, my body functions well but my mind just seems to be elsewhere. I am still able to go to the gym 3-4 times a week and my body feels fine at work (construction). I am still waiting for that sharp focus (the reason why I started this “diet”) that everyone talks about and it seems like it will never come. The latest episode of Keto Talk had some info you might find interesting. 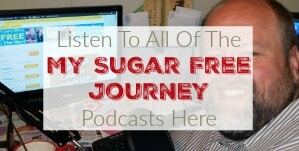 Dr Nally said he doesn’t see the cognitive benefits of ketosis until he gets above 1.0 and sometimes has to take exogenous ketones to get there. I thought you might find it interesting. Not really. I have taken a multivitamin and a Magnesium supplement in the past but I concentrate on eating whole foods and getting my nutrients from that. We eat a small spinach salad every night before dinner. I eat dairy though in cheese and HWC. Thanks for reaching out! I FIND BOTH SALT AND POTASSIUM ARE LOST QUICKLY ON KETO. MAGNESIUM IS VITAL FOR BOTH THOSE TO BE UTILIZED WELL. MANY PEOPLE ARE MAGNESIUM DEFICIENT BEFORE THEY EVEN START KETO. I TAKE POTASSIUM CITRATE POWDER, PINK SALT AND MAGNESIUM GLYCINATE POWDER EVERY DAY TO KEEP THEM ALL AT GOOD LEVELS. Glad to hear that. I take Mg from Pure Vitamin Club (MySugarFreeJourney.com/pvc) and am very happy with it. The trouble with K pills is you can’t get them over 99 mg so it’s tough to get enough so taking it in powder form is pretty smart. Glad you found the blog! I am 41 year old and I am doing Keto for about 2 months now. My weight was 208lbs and CW is 188lbs with a body fat @ 21.5%. Therefore, I lost 20 pounds through the diet without workout. I need your advice!! Can you take a look at my routine? BTW, my BP is still a little high. 138/96. My last blood test show my cholesterol at 225 and my HDL is only 39. How to increase it? Also I cut my egg yolks intake, thinking that it might the key trigger to my LDL to go up. Lunch– 12:30pm I have a serving of Macadamia nuts with sea salt. (230ish calories) Will nuts put me out of Ketosis? Dessert– 2 Tsp of Almond butter! (180 calories) Again nuts! my weight are not going down anywhere. Total about 1500 calories per day. Am I on the right track? I don’t really feel hungry because of the Keto coffee in the morning till night. Not that I am starving but I felt I have to eat something. I used to eat lots of bacon and eggs and ended up my LDL bumped up so much because of egg yolk cholesterol. I still eat it but not on everyday basis. My experience on workout: I was on a treadmill doing a fast walking on level 15 slope at 175 HR. I did it for 45min and after that I wasn’t eating much as well. I fell sick and had a fever for one week. Learn my lesson after my first workout. What is your advice base on my diet and workout? My concern is how to increase my muscle mass and losing fat at the same time. My aim is to get healthier and stay in shape and have more energy throughout the day! Please help . . . . . There is a lot here so lets try to take it piece by piece. #1 Egg yolks are good! Egg yolks are the best part of the egg and you should eat them at will. Don’t worry about their effect on your cholesterol. #2 Cholesterol is good. I would recommend you read Cholesterol Clarity by Jimmy Moore (http://amzn.to/2zzMo5B) because once you cut the sugar and grains out of your diet any rise in LDL will be the large fluffy particles that are non-atherogenic. #3 Low HDL is ok for now. Having just been on this WOE for 2 months, your body is still adjusting. Your HDL will normalize as you continue to eat high quality foods that are high in fat. #4 Triglycerides? You didn’t list your Trig numbers and those are more important than HDL or LDL. You want them to be lower than HDL and half of HDL if you can get them there. That is the number you really need to be tracking moving forward. 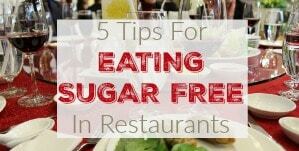 #5 Don’t worry about calories. There is such a long transitional phase that we don’t care about calorie intake at this point. Just eat to satiation and it will work out. #6 Prefer Weight Bearing Exercise over Cardio. You want to do something that builds muscle tissue because bigger muscles pull sugar out of your bloodstream faster which leads to lower insulin levels and shorter time to fat burning. I use a kettlebell but you can do plenty of body weight exercises that require no extra equipment. #7 Your Diet is good. I wouldn’t change anything about what you are eating except for adding the yolks back in and make sure you are eating a wide variety of foods. Eat lots of different types of veggies and meats and don’t get locked into a set diet. It gets boring and your gut microbiome thrives on diversity. I love to throw in some Wild Planet sardines at least twice a week. #8 Your weight loss is good. 20 lbs in 2 months is great. Now your body will start to adjust to its new reality and weight will come off in fits and starts. Weight loss isn’t linear unfortunately. When I look at my weight loss it averaged out to about 10 lbs every 6-8 weeks but during those 6-8 week periods that tracker line was all over the place. #9 And this is most important. Keep Calm and Keto On. 4 Triglycerides? You didn’t list your Trig numbers and those are more important than HDL or LDL. You want them to be lower than HDL and half of LDL if you can get them there. That is the number you really need to be tracking moving forward. What do you think about my triglycerides numbers? Actually your triglycerides are pretty good, it’s just your HDL numbers tat are a bit low but it’s not worrisome. 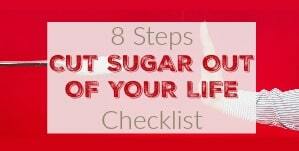 Once you eliminate sugars and grains your start transforming your cholesterol to large fluffy particles but it could take a few months for everything to normalize. Keep doing what you are doing and I think you will be pleasantly surprised by your next test. You might take a look at what Dave Feldman is doing to manipulate his cholesterol numbers for a better look at why your cholesterol numbers aren’t as important as you might think. 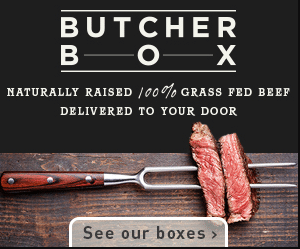 I have some confusion after exercising and keto. I feel that my weight is going up after 3 days of workout. Why is it so? I am still counting my calories and it’s not over. I am doing HIIT for 20 min and 20 strength training like lifting weight. The benefits of exercise happen as your muscles start growing to the point where they begin to pull sugar out of the bloodstream at a faster rate. 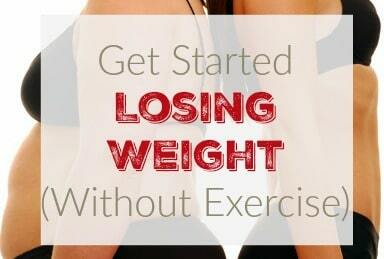 Don’t worry about your weight, keep your diet on point and keep exercising and it will even out. I have another question about IF. So today I did a 16 hours fasting till 10am and had two cup of Cesar salad with bacon. My drink will be apple cider vinegar in the morning and afternoon. Until now I am not feeling hungry yet. But I will have to eat before 6pm before my fasting period starts again. Am I eating fine? I didn’t drink bullet proof coffee today and still feel fine with energy and focus. What is your thoughts? Do I really have to eat a ton of fats to fulfill my requirements???? First of all, I hope you aren’t drinking straight ACV. That doesn’t seem fun at all. Just FYI, ake sure if you are doing anything with ACV that it is with “The Mother”. Sometimes I will pour a little ACV into a 2 liter bottle of club soda with a little stevia. Makes for a tasty apple soda. If you don’t feel hungry, don’t eat. You certainly don’t have to eat a ton of fat, especially if you are losing weight. Eat to satiation and you will be fine. Can I do IF everyday like a routine? Is it ok to do it? How much fat is really enough to lose weight? How many grams per day? I do IF every day and have for about a year or so now. Actually, I do it 5 days a week but there is no reason you can’t do it 7. Grams of fat per day varies. Just eat until you are full and stop. Got it Aarn! You are so cool! You know what I have realized only today? I have been eating too much fat because of my fitnesspal apps. Because I did not pay the extra to unlock those adjustable grams on my fat macro. Therefore, my protein and fat requirements are out. What apps do you recommend? Any free one to use it efficiently to track my eating? Do you track as well?? I use Lose It and the free version is enough to get me the info I need but it won’t parse out macros unless you pay. Take it one step at a time and you will get there. It took me years to get here. Slow and steady wins the race. Aarn! I have questions about high blood pressure. I have been doing Keto but my blood pressure is still high 138/95 I don’t know how to lower my BP now. I thought Keto will help me reducing it. My weight is going down. I am currently down to 85kg. Anyway, what is your advice? help me on this one please! I stressed when my wife asked me to take a reading on my blood pressure! I have never see great number for years! ACV has no side effects and I use it in my salads but my understanding is that the health benefits come from “The Mother” which is the bacteria from fermentation and I don’t know what putting it in pill form will do to that. However if it helps your BP, no harm in continuing it. 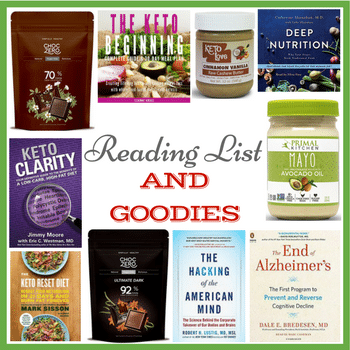 I LOVE THAT YOU ARE HELPING PEOPLE KETO ADAPT. What happened to the rule that you should have 4 times as much potassium as sodium? I was reading this book The K Factor which said that. I bought LoSalt, which is a mix of potassium chloride and sodium chloride, with about 3 times as much potassium as sodium. I asked Chris Masterjohn about that in our podcast and while he didn’t say anything about a ratio but he did mention that it was important to eat Potassium along with Sodium. I also use LoSalt along with my Redmond’s Real Salt and take a Magnesium supplement.